Our beautiful cast resin hook is crafted to replicate a fine porcelain finish. 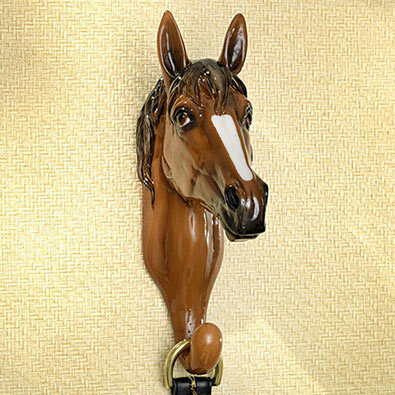 Hand painted with accurate detailing it will be a stunning room accent for any horse lover. Keyhole hook on back for easy hanging. Measures 22cm x 5cm x 13cm. Grrr! This bear table is certainly going to surprise your visitors. With realistic details that make it almost appear alive, our side table has a round top, perfect for resting your beverages on. A great design element indoors or out. Made of hand painted polyresin. 52cm x 33cm x 36cm.